Ambleside Civic Trust has four important objectives outlined in its Constitution. To protect, preserve and stimulate public interest in the areas covered by the Parish of Ambleside. To promote high standards of town planning and architecture in the area. To secure the preservation, conservation, development and improvement of features of general public amenity, historic and public interest in the area. To be non-political, non-sectarian and non profit making. To further these objectives we comment regularly on planning applications in the Ambleside area and we carry out projects that we believe will improve the town for the benefit of residents and visitors. 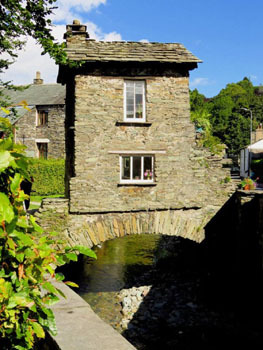 Current projects include working with individuals, groups and authorities to implement actions for improvements identified during our 2017 survey of the Ambleside Conservation Area, addressing ways of improving the state of Stockghyll Park and installing further plaques commemorating past residents and historical features in the town. Further details can be found on the Projects page.